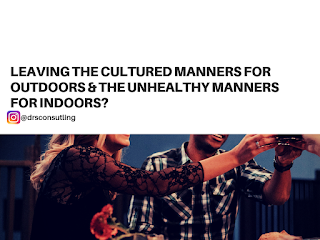 Home » » Leaving the Cultured Manners for Outdoors & the Unhealthy Manners for Indoors? 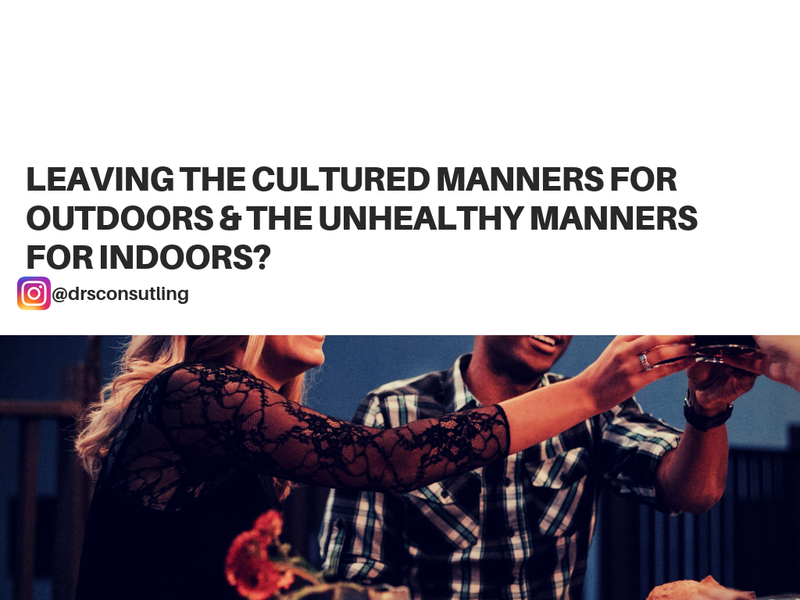 Leaving the Cultured Manners for Outdoors & the Unhealthy Manners for Indoors? Certain people consider etiquette to be something they reserve for use only at an exclusive gathering. Even some among my so-called educated and exposed friends and acquaintances alike, I see startling conducts. When I teach these people how to stop their bad habits and constantly prompt them to use acceptable behavior they tell me, “Damilola, I don’t have time for this your polish life.”Or, they say, “Go away with this your etiquette wahala.” But, when they attend fancy parties, they put up cultured manners leaving the unhealthy manners for indoors. Their intentional indulgence in upsetting behavior makes me wonder where they are coming from. I ask myself this question, do you have to be schooled in an actual school before you have basic polish? My grandma late Mrs. Mopelola Ogunremi, wasn’t English schooled but, she gave me the foundation I have in etiquette today and equipped me with good values in life. Bad manners small as they may seem, can be very damaging if you don’t make attempt to stop them early. It can cause public disgrace, and in private hurt, our relationship, create misunderstandings, grief, and pain and can even cause a loss of a precious relationship. I’ve seen this happen many times. Beginning from today start working on those bad behavior people are complaining about. Use good manners in your private before the bad ones bring you unfading pains. Making the best of your relationship is all about the right behavior in all situations. In the end, it’s going to be what you make of your life through behavior. If you need help on how to stop bad habits, hit the comment button and we will have a chat. How Are You Flaunting the Big Body?